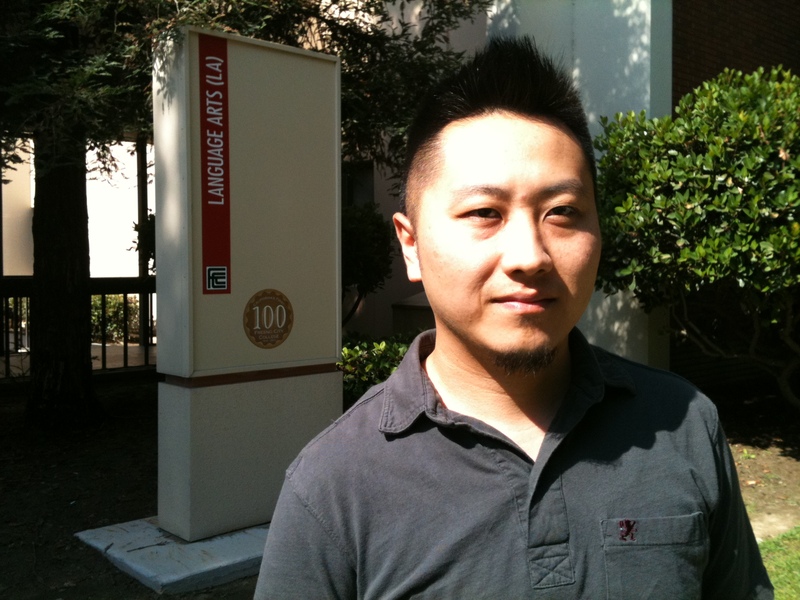 Fresno poet Soul Vang is believed to be the first Hmong American to earn an MFA in poetry. My first freelance radio story for The California Report aired on Friday, Oct. 21. I reported on the Fresno-based Hmong American Writers’ Circle and their groundbreaking new collection of literature, How Do I Begin? It was a great feeling to hear myself on the radio telling a good story, and the subject matter had a lot to do with my feeling of success. I was lucky to have long interview conversations with two HAWC members whose writing I’ve long admired: Soul Choj Vang and Burlee Vang. We talked about the book, we talked about writing, and we talked about the immigrant experience in America, which is captured so vividly throughout the book. I invited both Soul and Burlee to come into The California Report’s bureau office not only for their main interviews, but also to perform some of their work. Excerpts from Soul’s poem “Here I Am,” which inspired the anthology’s title, and Burlee’s poem “Eating Without the Poet” made it into the finished story, and I was so glad that listeners got to hear snippets of these two remarkable writers’ work in their own voices. 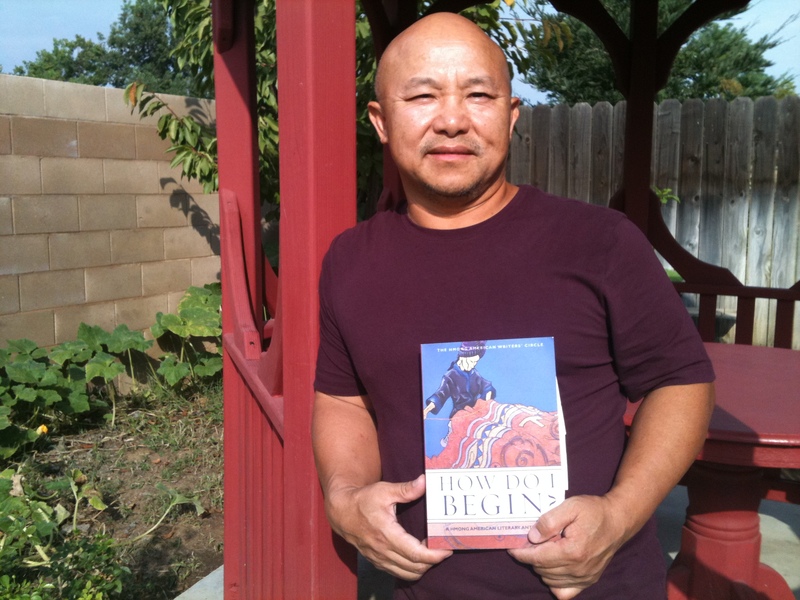 Burlee Vang, who teaches at Fresno City College, founded the Hmong American Writers' Circle in 2004. In the process of reporting, I was most humbled by my time spent in Soul’s home and in Burlee’s classroom. On one day, Soul invited me into his home to observe him with his family. He has two sons with special needs who demanded a lot of his attention. He also has the hustle and bustle of a house with three generations of family under one roof, each member filling his or her duties in a graceful but clockwork fashion. On another day, Burlee invited me into his classroom at Fresno City College to observe him with his English 1A students. He has a talkative bunch of beginning writers who demanded a lot of his attention as well. He also has the chaos of a first-year composition course to orchestrate, each student workshopping his or her paper in a sprawling but organized fashion. Unfortunately, none of the sound I gathered at either location ended up making it into the final story. But my time spent with Soul and Burlee in their respective worlds was truly a gift, and it reminded me that reporters are wise to never take that kind of trust for granted. Here’s the link to the final radio story. Please listen to the audio version first, before you read the extended text version that I wrote for the website. Then, at the bottom of the text version, listen to the full poems by Soul and Burlee. Whoa. That’s my teacher. I didn’t know he did that much.